Prices quoted include postage and packing to UK addresses. please email to check the postage supplement before making your purchase. First proposed in 1861, it took over twenty years for Glasgow's Hospital for Sick Children to finally receive its first patients. 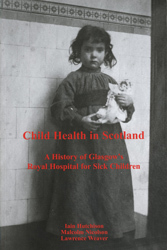 The hospital admitted children from across Scotland, but especially from west and the Hebrides. An outpatient Dispensary in Garnethill, and a Country Branch in then-rural Drumchapel, followed. In 1914, at the outbreak of the Great War, it moved to Yorkhill where some wards were immediately requisitioned for the treatment of wounded army officers. In 1965, just after the Queen Mother's had opened at Yorkhill as a new maternity hospital, the children's hospital was evacuated when severe structural faults were discovered. A new Royal Hospital for Sick Children opened in 1970. 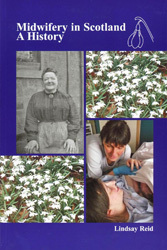 This book is a social history which not only traces changes in the practices of clinicians, nurses and professional carers, but reflects the experiences of children and parents in their historical context. 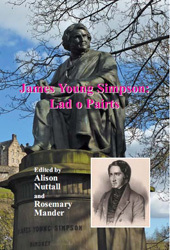 Published in June 2011 to mark the bicentenary of the birth of Simpson, a team of eminent academics draw out hitherto disregarded aspects the career and public life of James Young Simpson (1811-1870): his gynaecological research, his teaching role, his involvement in other medical controversies, his international reputation, and his many contributions to society as a whole through his interests in women's health, in archaeology, and through his faith. The picture of Simpson that emerges is of a greatly-respected if somewhat belligerent polymath. Simpson's life is presented not only in terms of his career, but also in relation to his contribution, even manipulation, of the changes that were occurring in both medicine and society. An exploration of the history of midwifery in Scotland in the twentieth and early twenty-first centuries, thoroughly research narrative discusses the memorable work of the 'howdie' or uncertified midwife in Scotland and highlights the necessity for midwives in Scotland to have statutory legislation. It demonstrates the paradox within midwifery: legally autonomous since 1915 and yet for a long time subject to the authority of another profession. Reid shows how midwives themselves remind us of the differing aspects of, and attitudes to, birth, and how the woman is at its heart. Care must be woman-centred. A woman's level of contentment with her labour and birth will extend to her wider life and relationships. This, in turn, will have an impact on the long-term quality of life and health of the people of Scotland. Testimonies from twenty-three women, and one male midwife, reflect not only the changing status of the midwife over the course of the twentieth century, but the move from home births to hospital births, and the later emphasis on maternal involvement in the childbirth process. Ann Lamb (b.1902) tells how midwives oversaw births with little doctor involvement, but Mima Sutherland (b.1905) acknowledges that the midwife would defer to the doctor if one did happen to arrive during the birthing process. 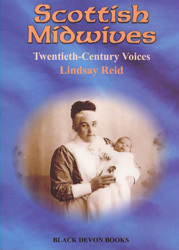 During the twentieth century, the midwife was increasingly subordinated, but these testimonies conclude with midwives from Inverness's Raigmore Hospital asserting that, by the end of the century, midwifery had to some degree gone full circle, had become less medicalised whereby normal births often didn't involve a doctor or obstetrician. Second edition published by Black Devon Books.